My original plan was to make appetizers all day long Saturday to munch on throughout the day. You know what they say about plans. My dogs had other ideas and decided "Daddy" didn't need to sleep in. Instead, he should get up WAY TOO early and go outside with them. 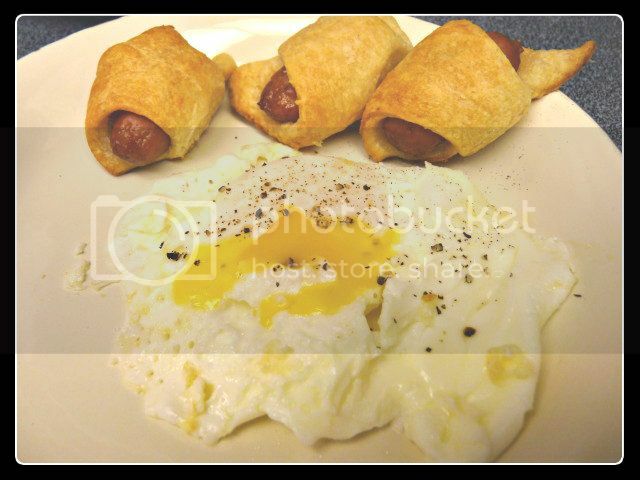 As I'm sitting there, hot cup of coffee in hand, enjoying the cold weather, I decided that pigs in a blanket would go along just fine with breakfast. Got the Egg lit and stabilized at 400F, place setter legs down, three green feet for spacers and a cookie sheet filled with pigs in a blanket. 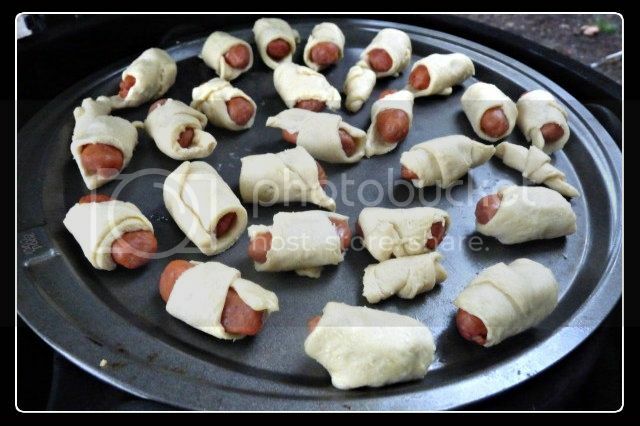 Spun the cookie sheet a time or two to ensure even cooking and then at about the 20 minute mark, we were about done. Fried me up an egg to go along with it and breakfast was served. Not how I would have chosen to start my Saturday (the dogs had a stern talking to, but I think they ignored me), but a good start. I think this was only the second time I've cooked breakfast on the Egg (the other being Scotch Eggs. Not sure its gonna become a habit, as I'm not a big breakfast person, but we'll see what the dogs have to say about that. 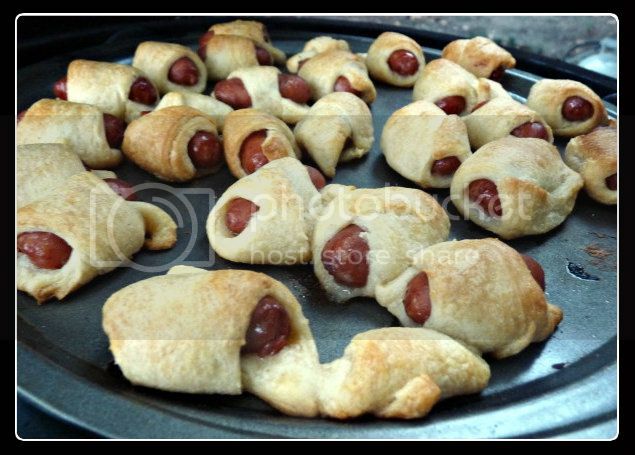 I make them with Parker House roll dough. They disappear at parties. A Daytona 500 party several years ago seemed like it turned into a hot dog-eating contest between two of the guys. Sounds great. Simple dough recipe and it looks like it only takes a total of an hour and ten minute rise. I'll have to try that, thanks. Those sound a bit more like the Kolaches you can get down here in Texas. A German/Czech tradition. That recipe is pretty close to Czech Stop in West. I skip the cheese and jalapenos, and use a jalapeno sausage instead.